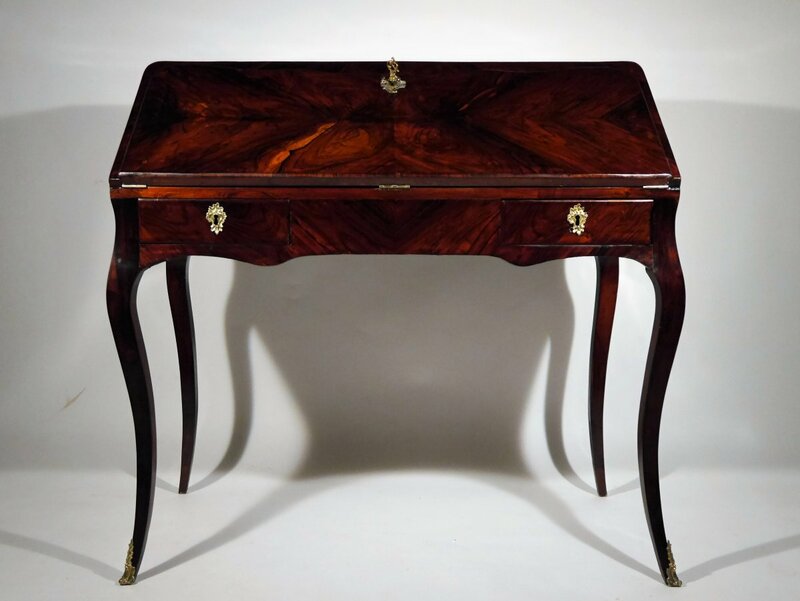 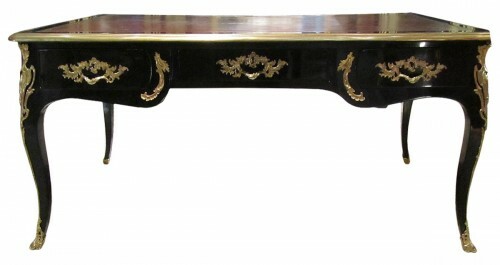 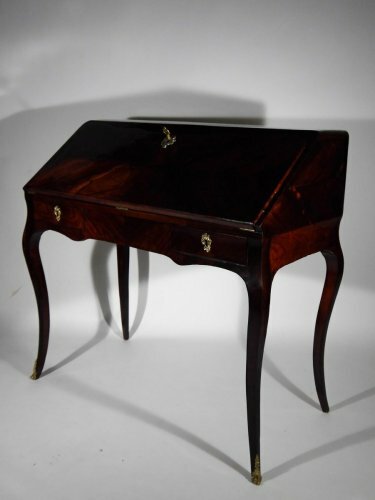 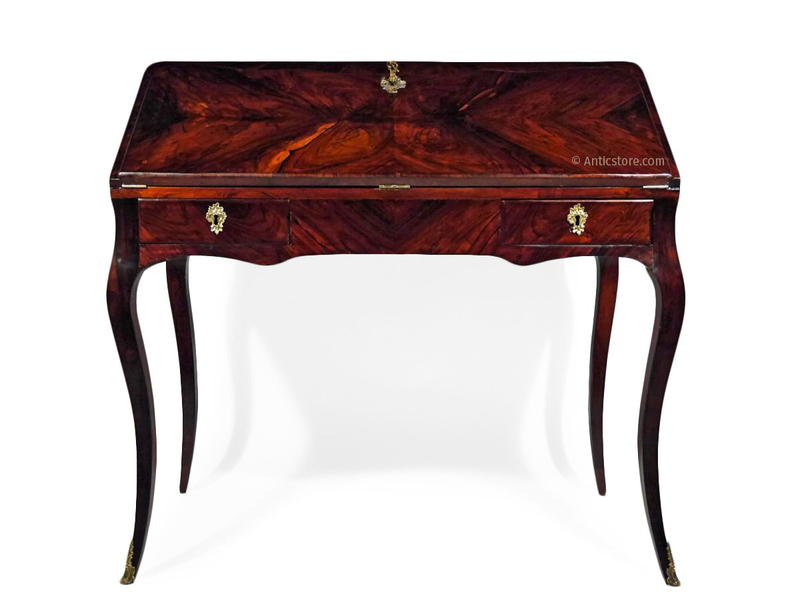 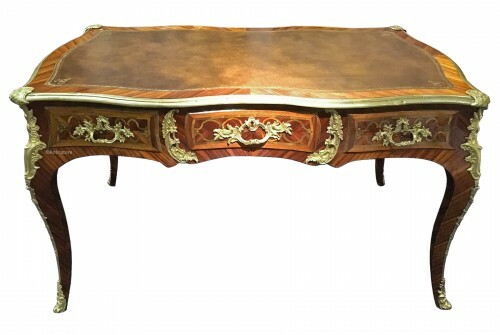 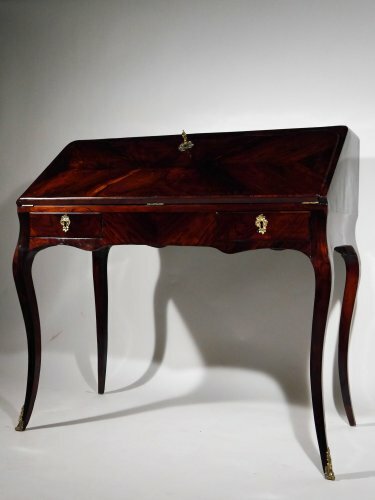 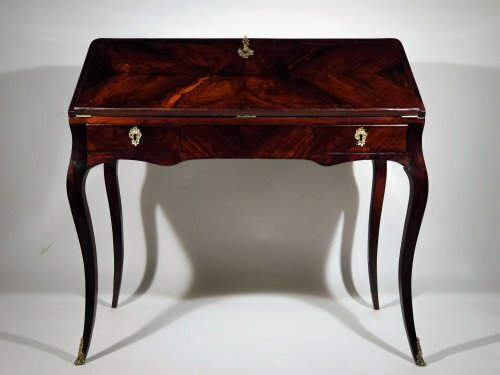 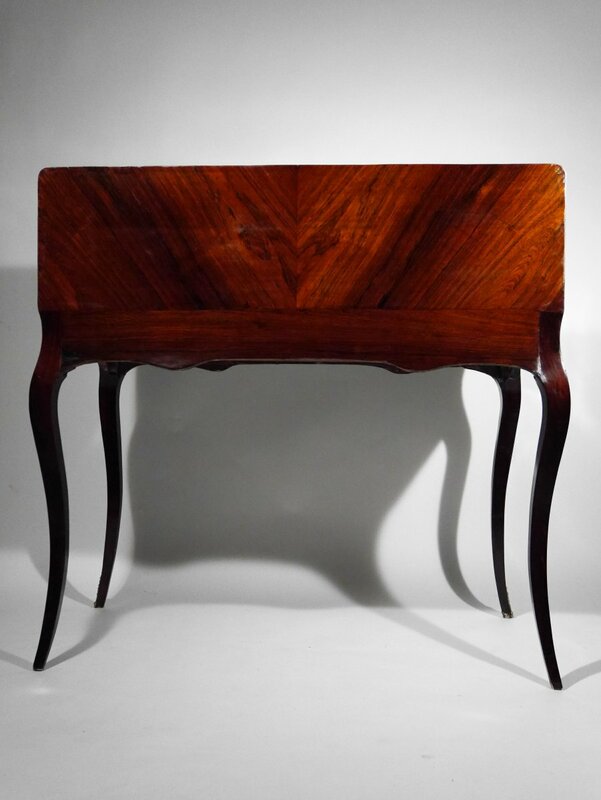 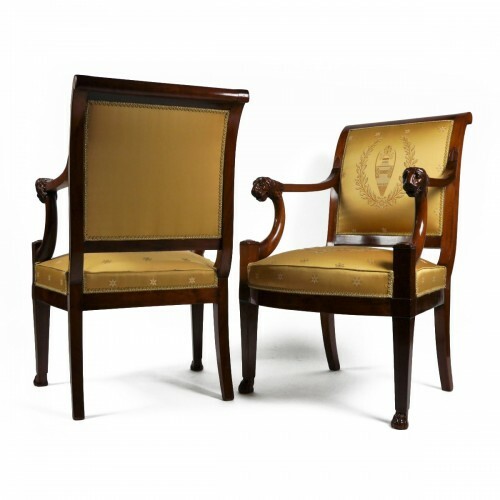 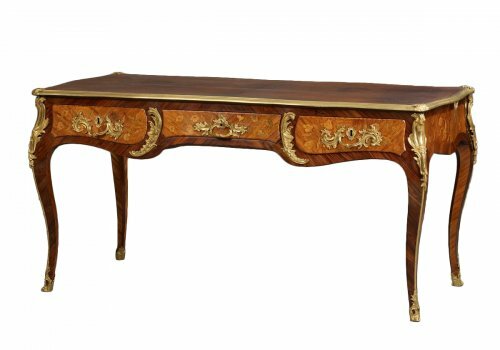 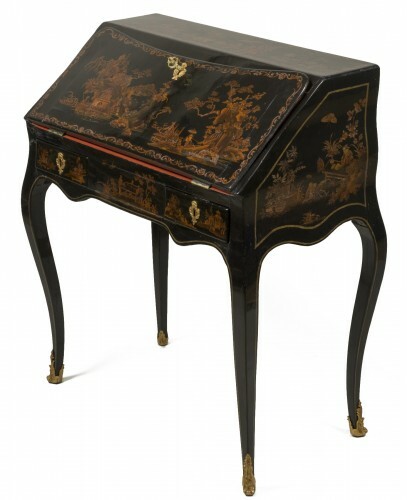 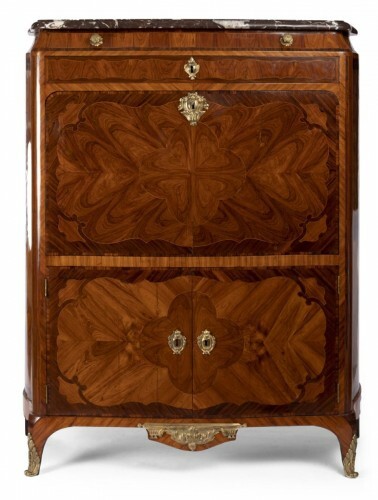 Magnificent and rare Louis XV writing desk / sloping office (also called "dos d'âne") entirely covered with rosewood. 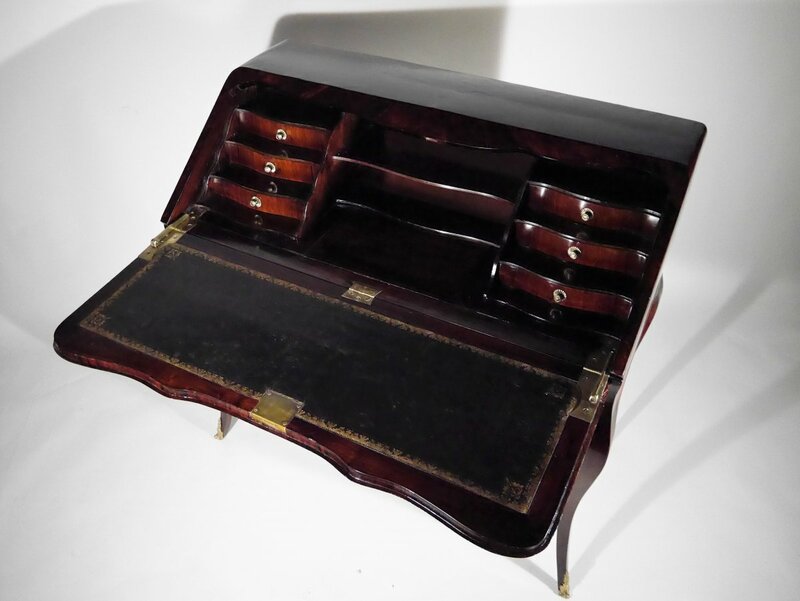 It opens with two drawers in the belt, the flap discovers six small drawers and a secret. 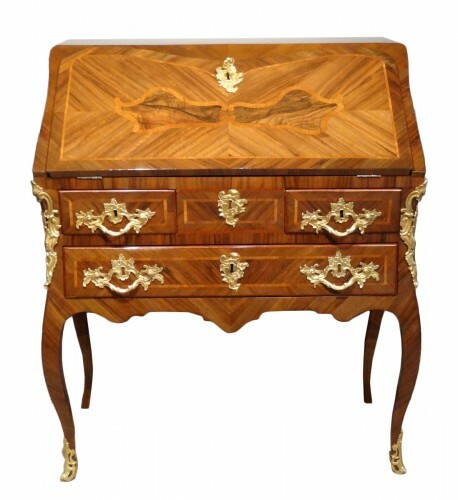 We found this stamp on various furniture of the early Louis XV, high quality, including a small dresser delivered to the Prince de Condé.